Best Bride can help you save time, stress and money and ensure that the vision you have for your picture perfect day comes to life. We provide high-end, fully comprehensive services throughout the planning process, entire wedding day and beyond that. This is one of the most important milestones you will experience in your lifetime. Your engagement is meant to be an exicting time filled with happy memories of love and laughter. It is also a time to prepare for the big day…. which, let’s face it, can be overwhelming and stressful. 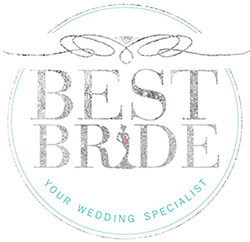 This is where Best Bride comes in — we are here to help and make you the absolute Best Bride possible! The Silver Service Package is for the bride who has planned her special day and needs assistance in putting all together. We will help you finalize last minute details and execute all your plans to ensure the day runs smoothly. The Gold Service Package is for the bride wants to maintain control of the wedding but needs help to bring everything together. Best Bride will guide her with expert advice and experience, as well as anything else she will need. The Diamond Service Package is for the bride who really believes diomonds are a girls best friend. This package is loaded with everything needed to make a dream wedding come true. You can sit back and relax, being assured that everything will be taken care of. Ensure tables are organized and arranged as designated including centerpieces, decorations, etc. We will assist in organization, professional advice additional vendor selections, and create a special concept of design. We will work together to make sure everything comes together accordingly. Collection of items to be brought and set up on wedding day (favors, toasting glasses, cake knife, seating cards, table numbers, programs, guest book, photos, table numbers, ceremony items, personal items, etc. With this package, we will give our Bride all the tools necessary to make her dream come true. The Diamond Service Package is for the bride who really believes diamonds are a girl's best friend.This package is loaded with everything needed to make a dream wedding come true. You can sit back and relax, being assured that everything will be taken care of. This Bride's wishes are our command. We will handle the smallest tasks necessary to ensure that her wedding day far exceeds her expectations.